I live in Sugar Land, Texas. It’s probably best known now for the country band Sugarland. Ironically the band is from Atlanta, but the members liked the name and took it from the town. 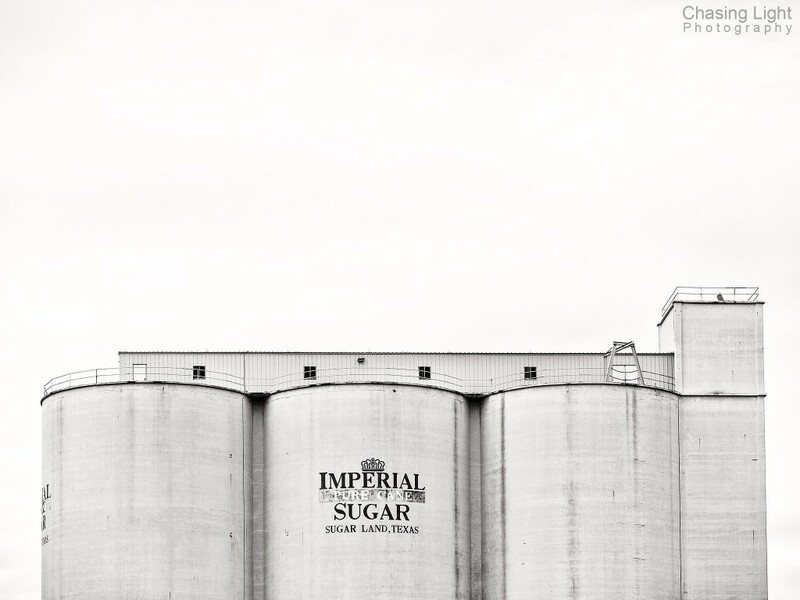 Although Sugar Land is a modern suburb of Houston, there are still remnants of the original sugar industry from which the town derives its name. Most notably are the abandoned buildings and silos of the Imperial Sugar Company. Once I saw the silos, I had this picture in my head. I just had to wait for an overcast day that would give me the negative space I wanted for the composition. This entry was posted in Photography on December 31, 2015 by Michael Weeks.